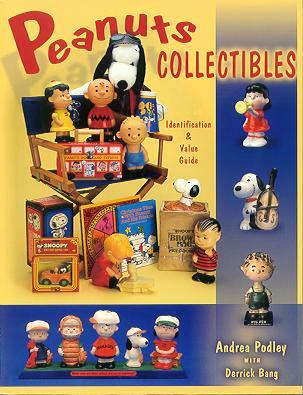 The Peanuts Collectibles Identification & Values Guide is written by Peanuts Collector Club founder Andrea Podley, with input from and editing by Derrick Bang. 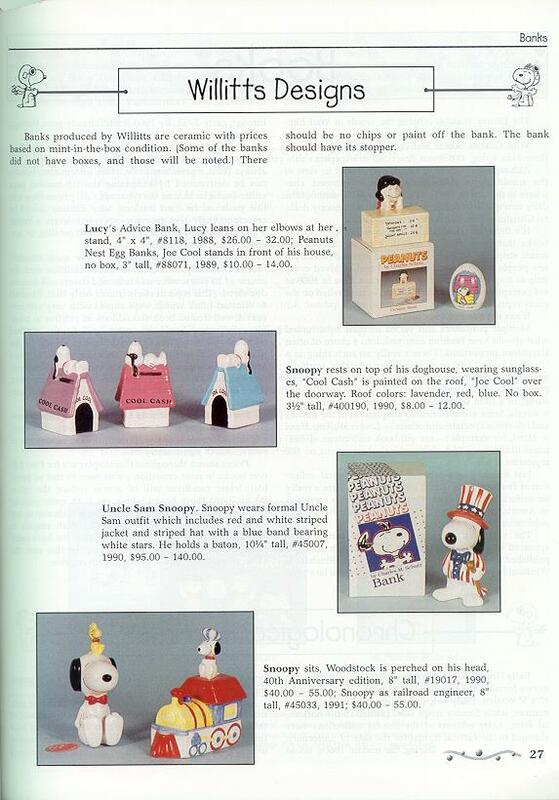 Although the book is designed as a price guide -- thus answering the ubiquitous "How much is this item worth?" and "When was this item made?" 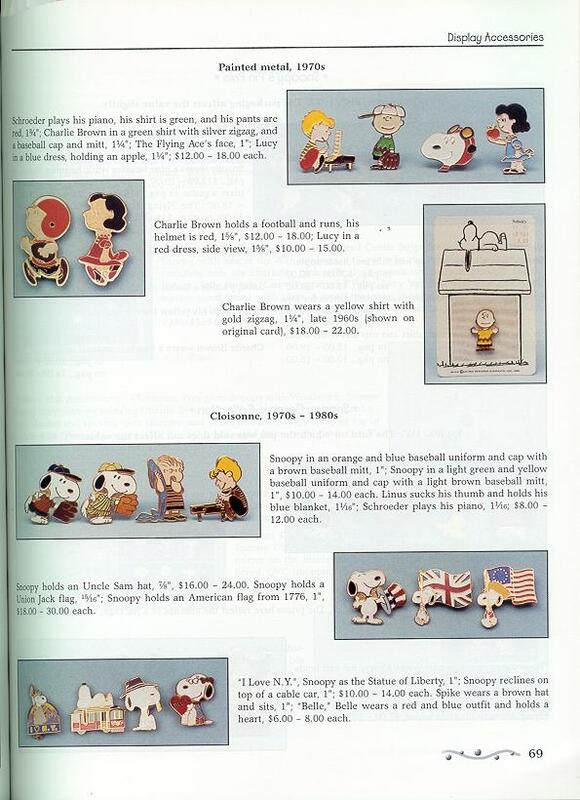 questions -- it also discusses how collectibles should be graded (i.e. condition), the difference between copyright dates and date of manufacture, how to organize your collection and where new and used items can be purchased (with addresses and phone numbers of trusted vendors), and even how collections should be inventoried. On a full-sized, 8-1/2-by-11 sheet of paper, PRINT your name, address and country (include city, state, country and Zip or country code). Tell us, also, how many books you wish to order. 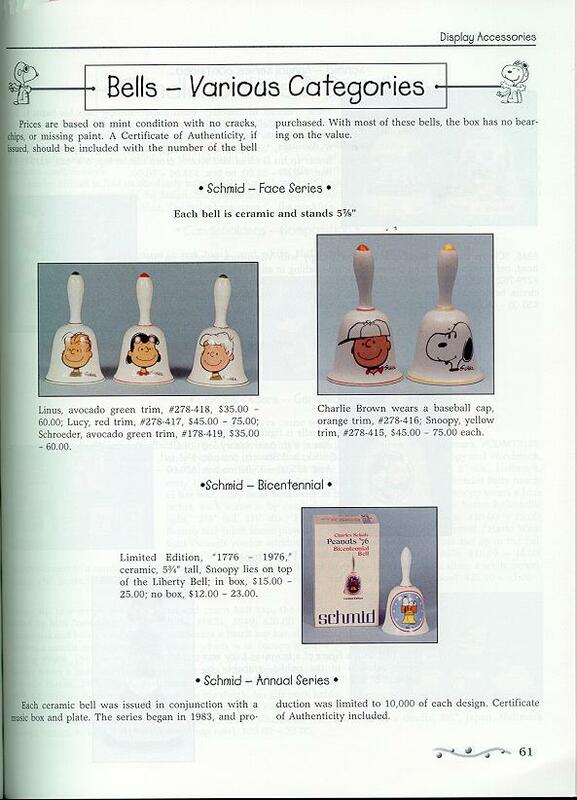 The books are $24.95 each. California residents must include sales tax. The amount enclosed must be in U.S. funds. Sorry, but we cannot accept credit cards. Overseas orders should e-mail us first. 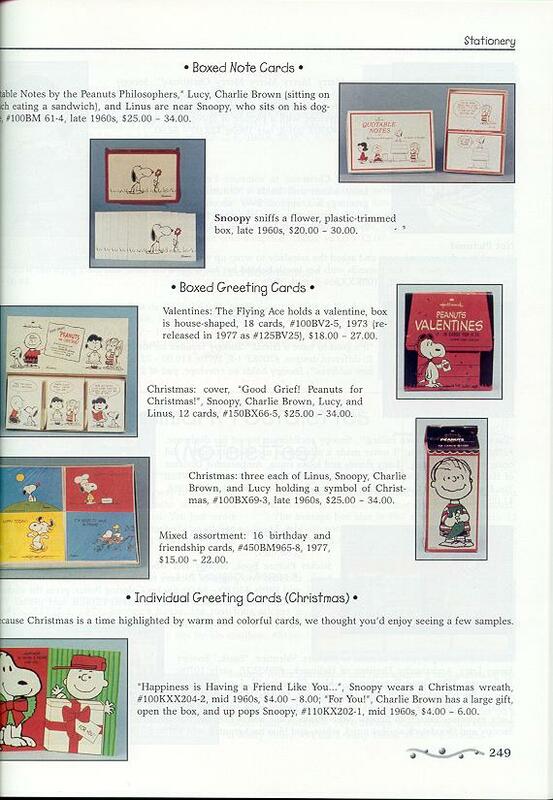 All PEANUTS characters pictured are copyrighted © by United Feature Syndicate, Inc. They are used here with permission. They may not be reproduced by any means in any form.